At Jeparit Primary School, the junior class go to the kinder for regular transition visits. Sometimes the kinder kids come to play at the school then they leave at recess time. 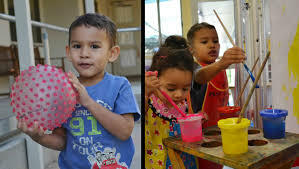 They do fun activities like playing in the sandpit, painting, obstacle course, and the see saw.